Tesla Chief Executive Officer Elon Musk accused of insulting and pushing a worker, swearing at him and telling him to leave immediately, according to people with direct knowledge of the incident who asked not to be identified for fear of retribution. Musk made physical contact with the staffer in a heated confrontation that drew the attention of other employees and spilled into a hallway and later the parking lot, the people said. The employee told people that Musk had pushed him, an account corroborated by others with knowledge of the incident. Another person described it as a tap or light touch. In either case, the incident got the attention of Tesla’s board, which said in a statement to Bloomberg News that it reviewed the matter and compiled accounts from witnesses. The board concluded there was no “physical altercation,” though it didn’t specifically address the allegation of physical contact or verbal haranguing. 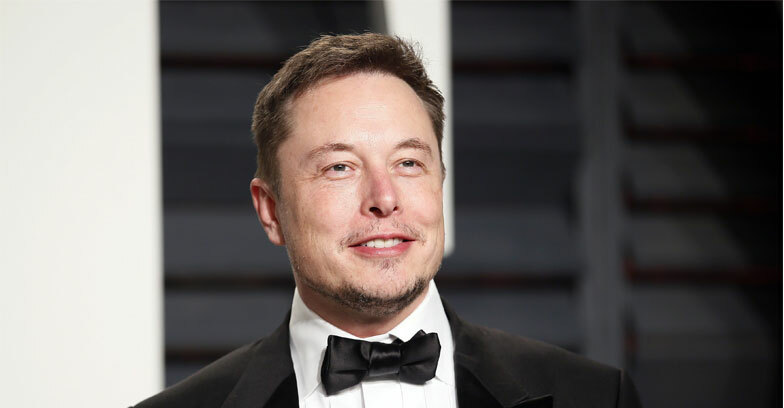 The directors are under pressure from the Securities and Exchange Commission and investors to increase their oversight of the CEO, though it risks alienating the man whose cult of personality is closely linked to Tesla’s maverick image. The worker in the September incident declined to comment to Bloomberg, which isn’t naming him because other people agreed to talk about the episode if his name was withheld to protect him from retribution. The events took place at Tesla’s delivery hub in Fremont, California, a few miles from its lone auto assembly plant. September was the final sprint in a frenzied third quarter during which Musk declared the company was in “delivery logistics hell” getting cars to customers. He had drawn regulatory scrutiny for a tweet suggesting he was taking Tesla private, then smoked pot during an appearance on a popular live-streamed podcast. Executives were leaving in droves, and the board’s patience with its chairman, Musk, was being tested. On at least two other occasions within that 30-day period, Tesla dispatched workers after tongue-lashings from Musk. So Musk was already under lots of pressure when word got out that Friday that the worker planned to leave Tesla. The departure was one of several to roil the team that month, and one former colleague said the employee was “one of our best problem solvers and a great business mind.” Musk had set aggressive goals and was unhappy with the pace of deliveries. In response to Musk’s shouts, the worker moved to get his backpack, but Musk physically blocked him, the people said. Musk told the worker to just “get the f— out,” they recalled him saying. Outside, Musk again confronted him and continued to berate him, warning the employee that if he harmed Tesla, “I will nuke you,” according to one of the people with direct knowledge of the incident. Other people said the warning was meant to keep the employee quiet about what had transpired that day. Tesla’s board declined to comment when specifically asked whether Musk threatened the employee. Eventually, Musk’s chief of staff fetched the backpack and gave it to the employee, who left Tesla for good that day. The employee contacted human resources, which led to the investigation into Musk’s actions. It’s not clear who led the investigation on behalf of Tesla’s board or when the review was completed. Word of the incident, which was witnessed by several people, has traveled among current and former Tesla employees, several of whom say they remain afraid of their former boss. While the September incident is an extreme example, it reflects a description of Musk that is notorious among both current staff and the growing diaspora of Tesla alumni: an inspiring but sometimes volatile leader, often driving employees to a breaking point. Earlier in September, Musk confronted another employee. Musk, standing close to the worker, loudly yelled at him in front of customers. Another manager, a former army veteran, stepped in to defend the now visibly shaken employee, according to a person familiar with the matter. Musk later announced that the employee had been fired on an internal call attended by dozens of Tesla employees. The company had yet to alert the employee himself of his termination. That same month, Tesla fired the former army veteran. Before leaving the company, she told Musk the carmaker would only deliver 80,000 vehicles in the third quarter instead of his desired 100,000, according to a person familiar with the matter. Musk had lambasted her as well. Tesla said the manager was fired because the deliveries and logistics operation was performing poorly. The company ended up announcing at the end of the quarter that it had delivered 83,500 vehicles.